If you have wanted to have an out-of-body experience, but were intimidated by books on the subject, Out-of-Body Exploring is for you! This is an entry-level-to-expert book--everything from what OBEs are, to how you can have your own anytime you want. Preston Dennett began his explorations beyond the physical body nearly twenty years ago in an attempt to contact his deceased mother. Thousands of OBEs later (OBEs lasting anywhere from a few seconds to several hours) he turns his attention from mastering the art to helping others. 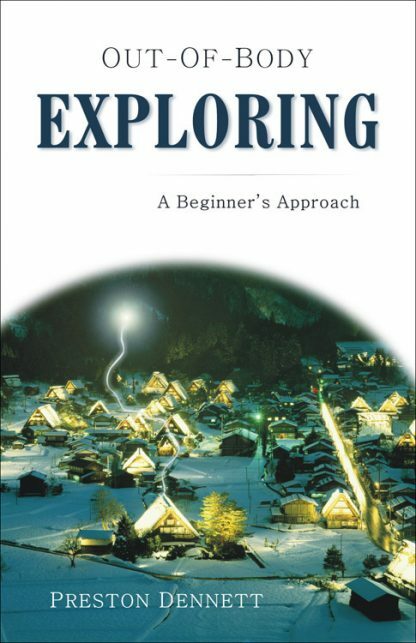 Out-of-Body Exploring includes Dennett�s initial forays into expanded consciousness, sharing the techniques he experimented with, and discussing the people and sights--both strange and familiar--that he encountered along the way. Plus, he offers tips on how to go reliably out-of-body, and how to control and maintain this enhanced level of awareness for extended periods. This is a guidebook to a whole new world. Why wait any longer to explore it? Preston Dennett is a leading UFO researcher and ghost hunter, and has authored five books and more than eighty articles covering the full range of the paranormal. A frequent media guest, his research has been featured in the Los Angeles Times and he has taught classes on out-of-body experiences across the U. S. He lives in Canoga Park, California.